Sensational Gospel music diva Dera has followed up the release of God of Heaven & Earth (audio and video) with a live video for the single “He will not Forsake me”. 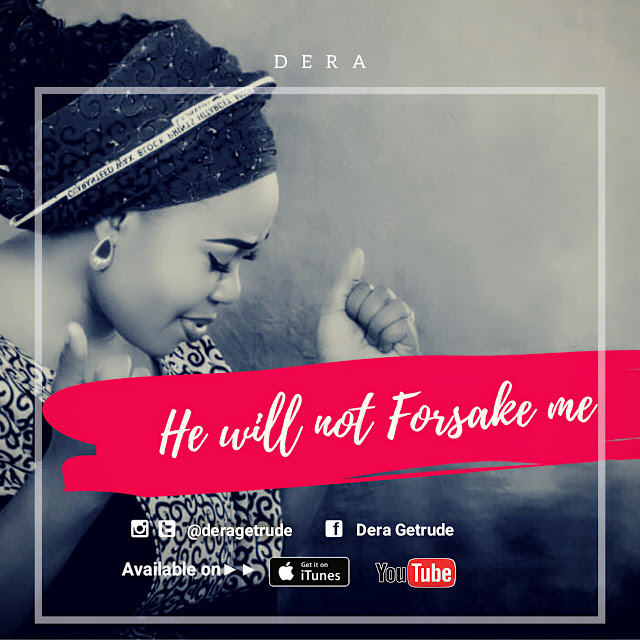 The single is also off the debut album “In Your Presence” and speaks of absolute trust in God, who will always be with us, even in the direst of situation. Dera had released the trending track “God of Heaven & Earth” off the same album. The trending track has gained critical acclamation, making it on to major blogs and airwaves. She released her debut album in July of 2017. Other singles off the album include “My Prayer”, “Dependable God”, “Most Holy”, “He Came”, amongst others. Dera looks forward to the release of more singles and has also hinted about another album in the works. Produced by Dr. Paul of St. Harmony Productions.